Coinkydink Or Coinkydonk? Do Disney Heroines Have A Dress Code? 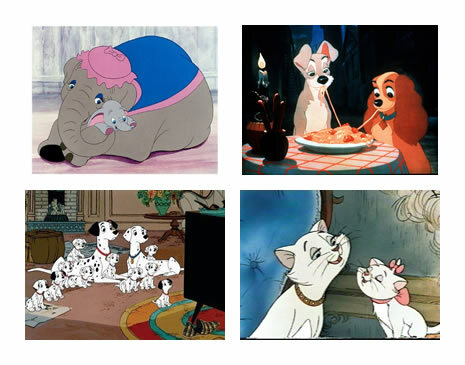 Beginning in 1937, Walt Disney set a precedent with Snow White and the Seven Dwarfs. Was it in animation? I guess possibly. Was it in film history? Maybe. I think so. 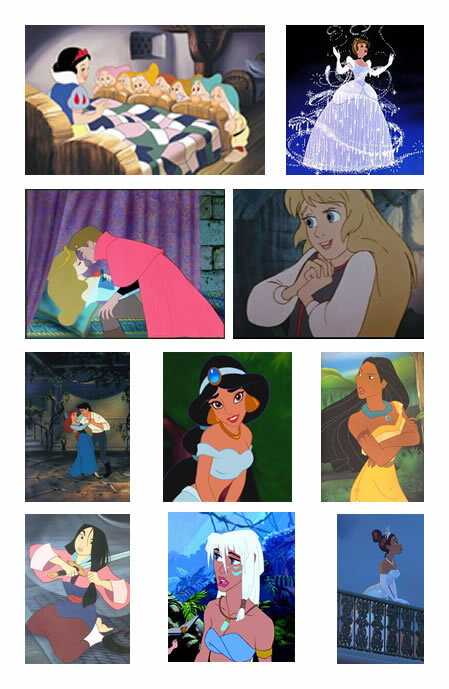 The precedent I speak of is a simple one: almost all Disney heroines wear blue. Okay, so Snow White is wearing all the primary colors, Sleeping Beauty’s dress changes back and forth between pink and blue, Eilonwy’s eyes are the bluest thing on her, and only pieces of Pocahontas and Mulan’s outfits are blue, but there’s still further proof in the pudding. This one’s easy. The Blue Fairy has the color in her name; Alice & Belle and Wendy & Jenny are practically twins; Esmerelda’s corset is blue and for Jane it’s her kerchief. Blue eyes are shared by almost all of these ladies as well. Sorry Belle (brown) and Esmerelda (green). These are the unlucky ones that break the blue streak. 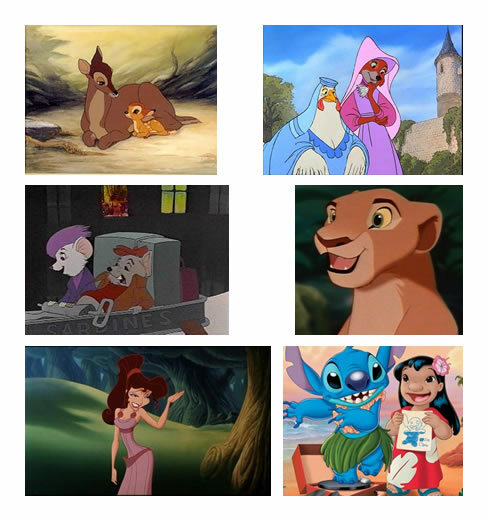 It makes sense that Bambi’s Mother and Nala don’t represent the traditional hue, seeing as how their stories take place in the wild, but it’s also interesting that the anthropomorphized animals (Maid Marian and Bianca) wear purple alongside the temptress-turned-heroine Megara. I figure Lilo never wears blue since her pet “puppy” Stitch is nothing but. So what does all this blue business mean? Wait. The emphasis was mine. Never mind. InASense, Lost… Smurfs Get Smurfed The Smurf Up! I met the Disney princesses in Disneyland two years ago. Snow White was super nice, Pochahontas was cool, but Cinderella was kind of stuck up…it’s like she forgot she was a maid or something. Put a glass slipper on a woman and that’s bound to happen. 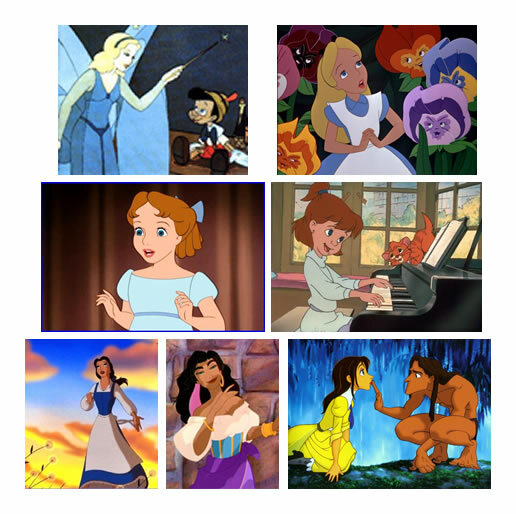 I hate to burst everyone’s bubble, but Belle is a Disney princess! She marries the Beast, who is a prince in disguise. When she breaks the spell, she gets married and becomes a princess. Am I the only one who notices this?! I’ve actually never noticed the pattern. Don’t almost all of the Disney males/princes wear blue also? You should do a list on that!